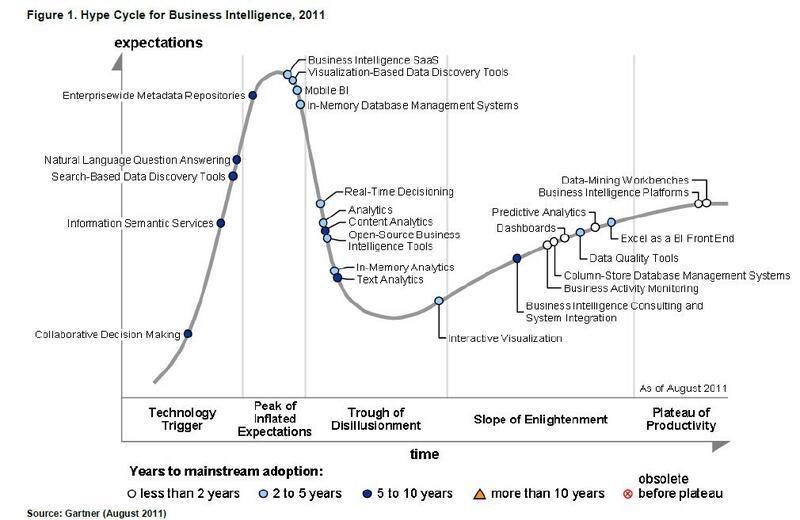 The industry is just beyond the Peak of Inflated Expectations, and headed for the Trough of Disillusionment. 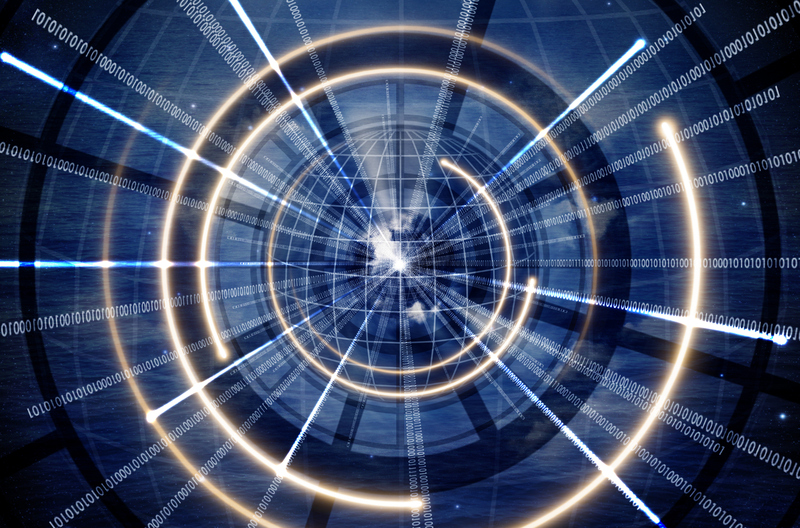 The further up the Technology Trigger and Peak of Inflated Expectations curve, the greater the chaotic nature of how technologies are being positioned with widespread confusion throughout markets. 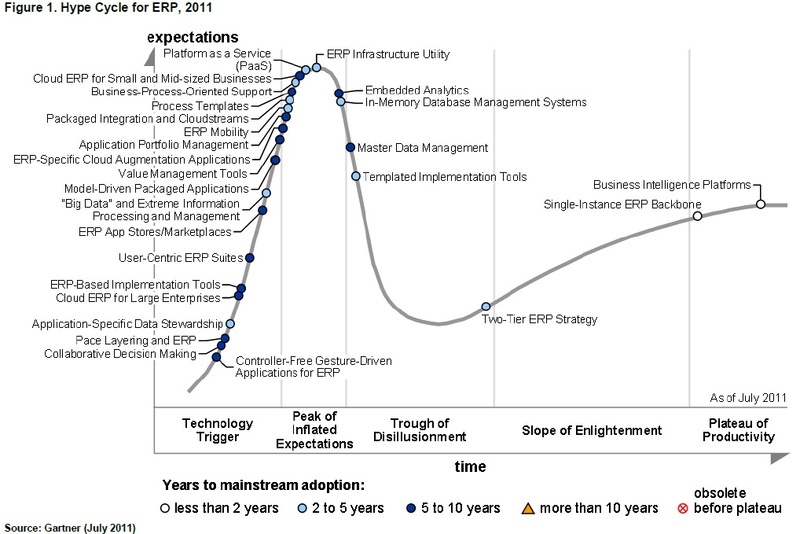 The team of analysts who wrote this at Gartner share that conclusion across the many segments of the Hype Cycle. Gartner states that nearly every vendor who briefs them has a cloud computing strategy yet few have shown how their strategies are cloud-centric. 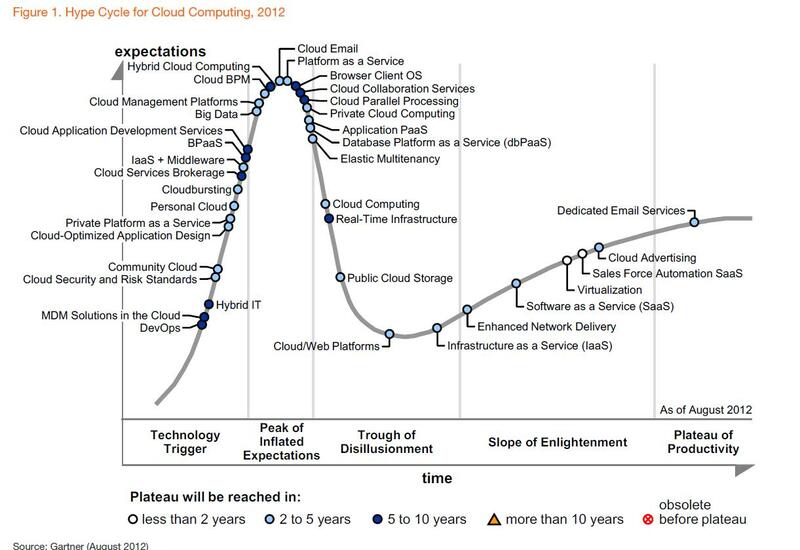 Cloudwashing on the part of vendors across all 34 technology areas is accelerating the entire industry into the trough of disillusionment. 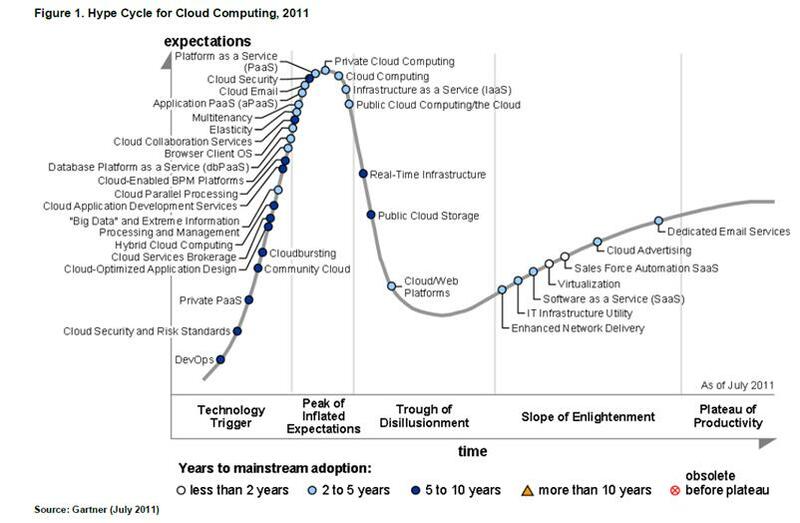 The report cites the Amazon Web Services outage in April, 2011 as a turning point on the hype cycle for example. 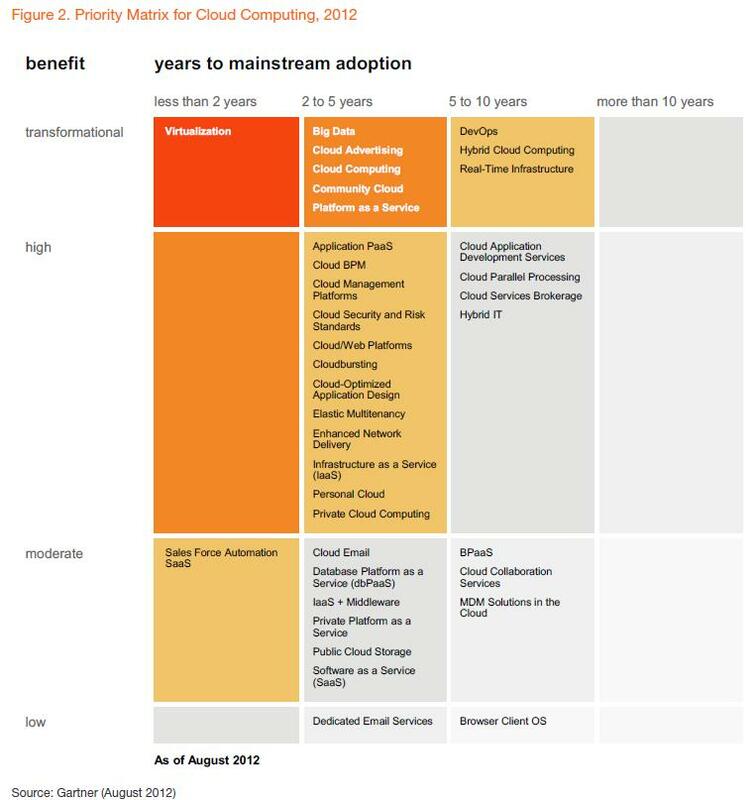 Gartner predicts that the most transformational technologies included in the Hype Cycle will be the following: virtualization within two years; Big Data, Cloud Advertising, Cloud Computing, Platform-as-a-Service (PaaS), and Public Cloud computing between two and five years; and Community Cloud, DevOps, Hybrid Cloud Computing and Real-time Infrastructure in five to ten years. 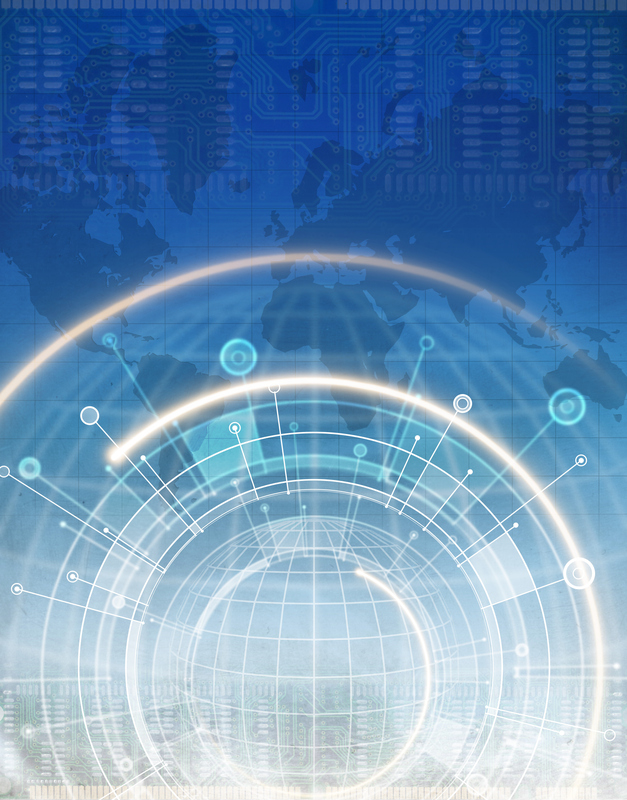 There continues to be much confusion with clients relative to hybrid computing. 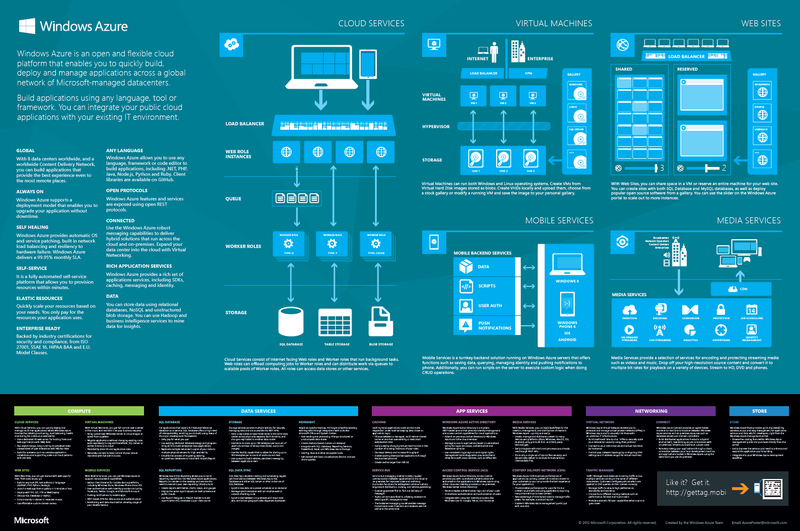 Gartner’s definition is as follows ”Hybrid cloud computing refers to the combination of external public cloud computing services and internal resources (either a private cloud or traditional infrastructure, operations and applications) in a coordinated fashion to assemble a particular solution”. They provide examples of joint security and management, workload/service placement and runtime optimization, and others to further illustrate the complex nature of hybrid computing. 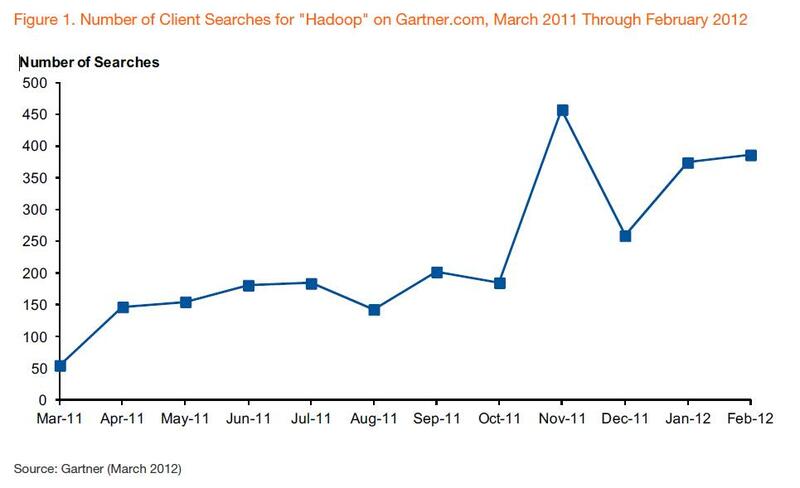 Big Data is also an area of heavy client inquiry activity that Gartner interprets as massive hype in the market. 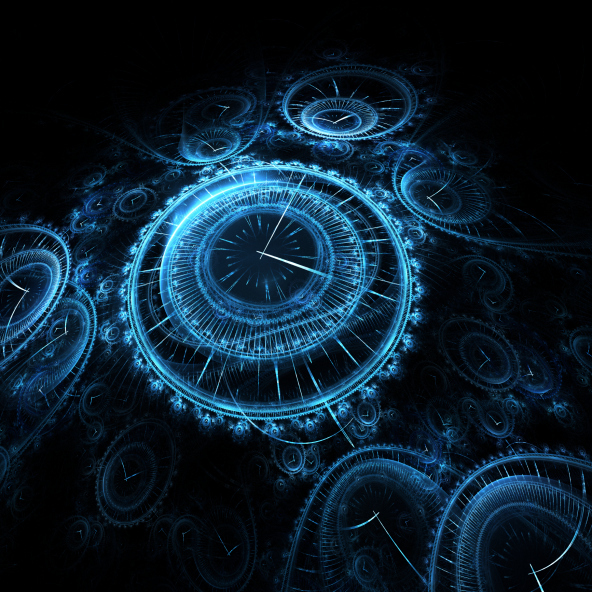 They are predicting that Big Data will reach the apex of the Peak of Inflated Expectations by 2012. 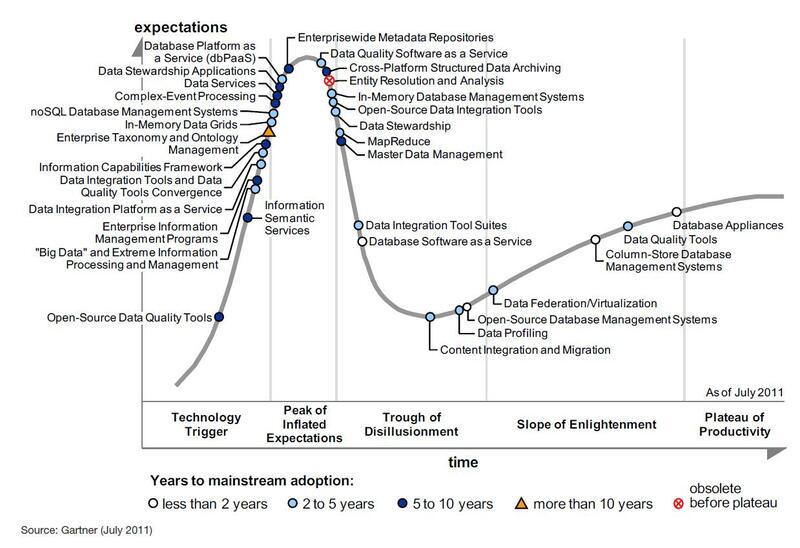 Due to the massive amount of hype surrounding this technology, they predict it will be in the Trough of Disillusionment eventually, as enterprises struggle to get the results they expect. 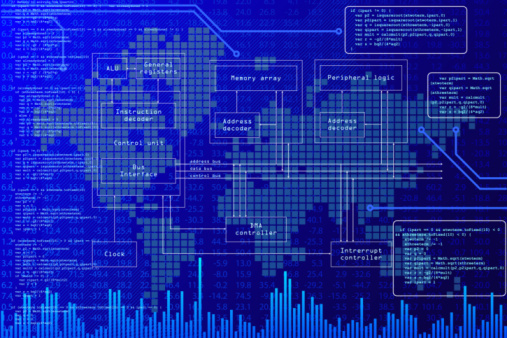 By 2015, those companies who have adopted Big Data and extreme information management (their term for this area) will begin to outperform their unprepared competitors by 20% in every available financial metric. 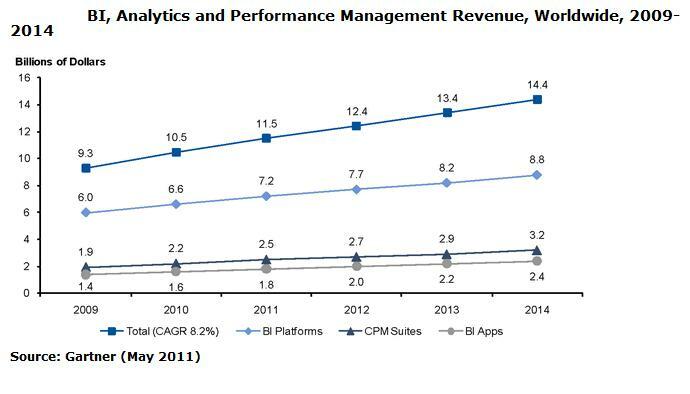 Early use cases of Big Data are delivering measurable results and strong ROI. The Hype Cycle did not provide any ROI figures however, which would have been interesting to see. PaaS is one of the most highly hyped terms Gartner encounters on client calls, one of the most misunderstood as well, leading to a chaotic market. 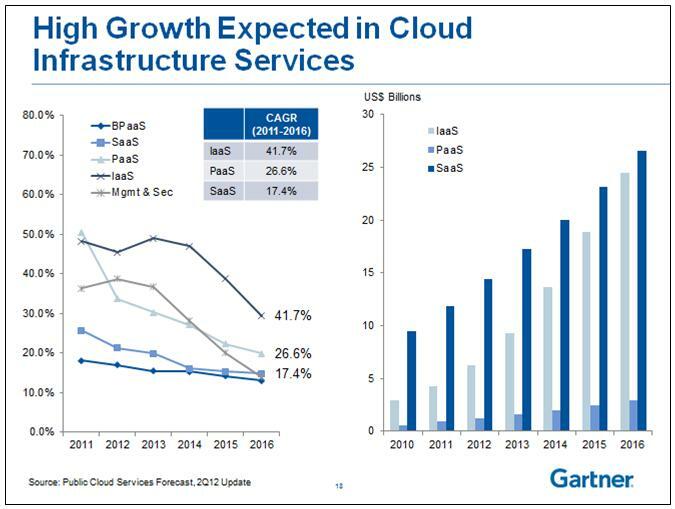 Gartner does not expect comprehensive PaaS offerings to be part of the mainstream market until 2015. The point is made that there is much confusion in the market over just what PaaS is and its role in the infrastructure stack. SaaS performs best for relatively simple tasks in IT-constrained organizations. 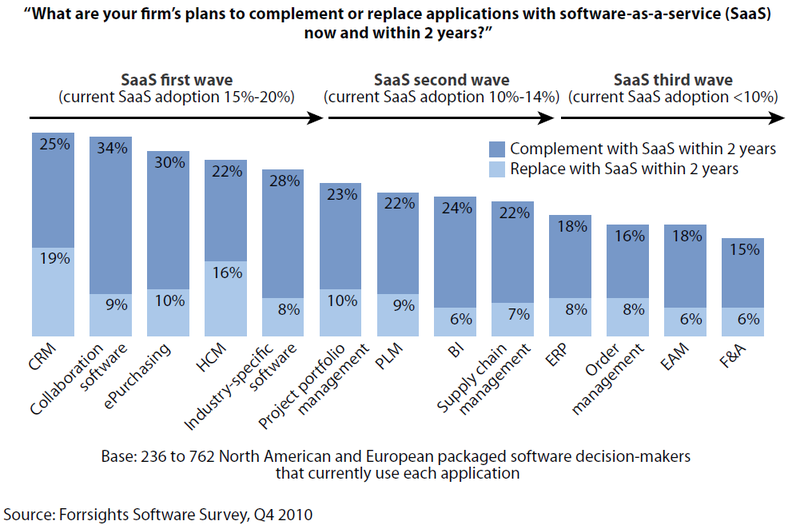 Gartner warns that the initial two years may be low cost for any SaaS-based application, yet could over time be even more expensive than on-premise software. 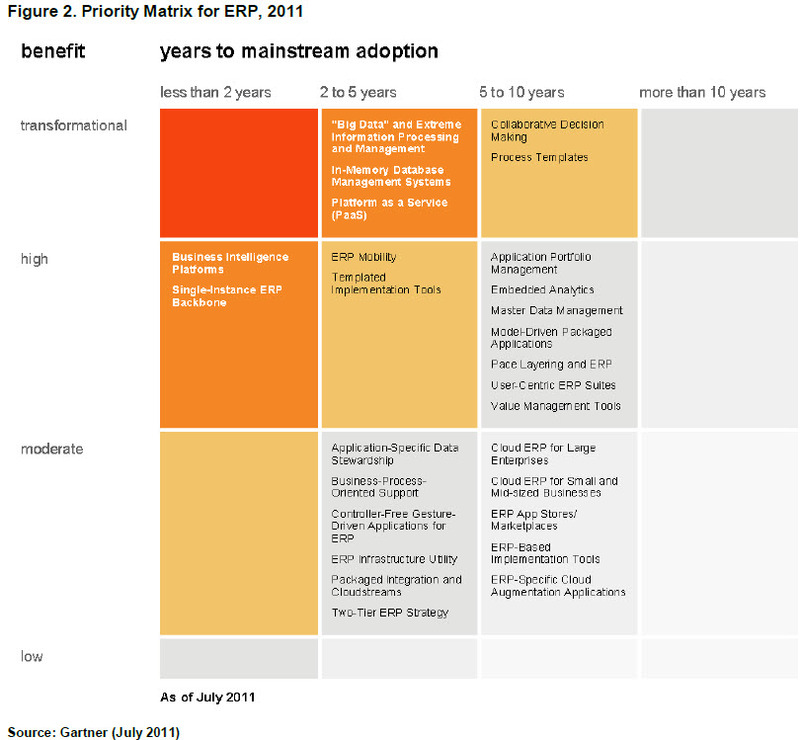 Gartner estimates there are at least 3M Sales Force Automation SaaS users globally today. Bottom line: The greater the hype, the more the analyst inquiries, and the faster a given technology ascends to the Peak of Inflated Expectations. After reading this analysis it becomes clear that vendors who strive to be accurate, precise, real and relevant are winning deals right now and transcending the hype cycle to close sales. 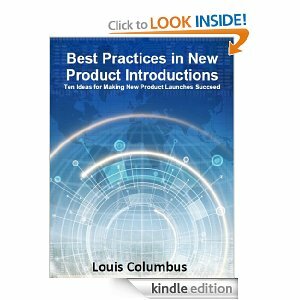 They may not being getting a lot of attention, but they are selling more because enterprises clearly understand their value. Nathan Marz is the Lead Engineer at BackType and recently presented the two following presentations, The Secrets of Building Realtime Big Data Systems and Become Efficient or Die: The Story of BackType at the Palmetto Open Source Software Conference (POSSCON) in Columbia, South Carolina. BackType specializes in the development and launch of advanced systems designed for analyzing social media. The company has also established itself as one of the most effective marketing intelligence systems and services providers specializing in social media analysis as well. 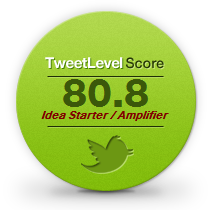 This is a company worth tracking as they will be a disruptive force in social media analysis and market intelligence.